Product #6000 | SKU CYX-405F | 0.0 (no ratings yet) Thanks for your rating! The Hosa CYX405F 3.5mm to XLR3F Y-Cable (5ft). 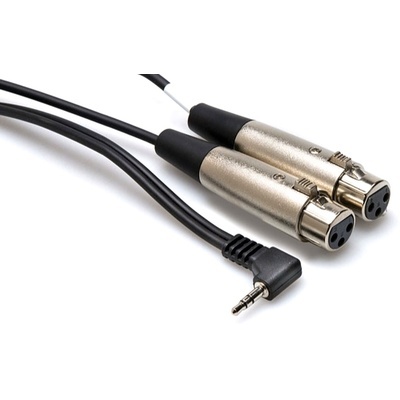 This cable is designed to connect two microphones with XLR outputs to a mini stereo phone input. It is ideal for connecting pro mics to a DV camera or portable audio recorder.